As a new(ish) resident of Queensland, there are a few things I know to be true: Queenslanders love good weather (and HATE it when it rains—unless we need it then we’re all for it, right? ), have a penchant for Havaianas, and love a cold frosty more than life itself. Because of our love of beer, what better way to get our hearts all aflutter than creating a custom brew especially for us? Naww, it warms your heart, doesn’t it? 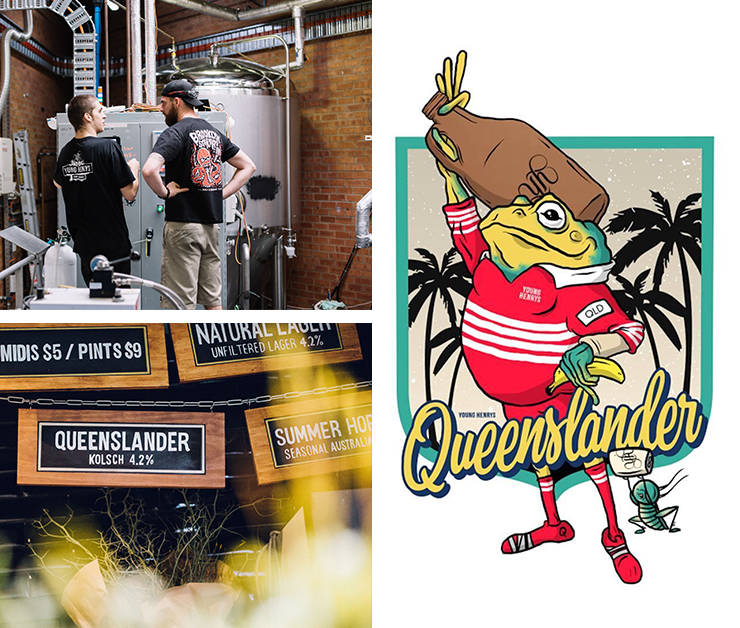 To celebrate the launch of the highly anticipated new South Brisbane bar, Little Big House on December 1 (which we of course wrote about right here), the team have only gone and collaborated with legendary brewers and all-round nice guys, Young Henrys to produce a limited-edition brew, lovingly named ‘The Queenslander’. Okay, let’s talk tasting notes: a super pale kolsch (4%—great for a session) The Henrys crew say “the beer is a bright, summer smasher with a light tropical aroma… best served on the deck of a classic Queensland pub watching sunsets over the 'brown snake”. So, basically the perfect bevvie for a hot and humid Brisbane summer. Sold! Oh, and if you were having any second thoughts on this one, this will seal the deal: the custom-designed beer tap label is a cane toad. In a QLD rugby shirt. Holding a growler of beer. When: From December 1 for a limited time.